PUNTO DE FUGA is a non-profit organisation created in 2015 by Antonio and Laura Carbonell. Its main purpose is to work on creative ways of sharing photo-books’ contents with a solid network of experts from Europe. 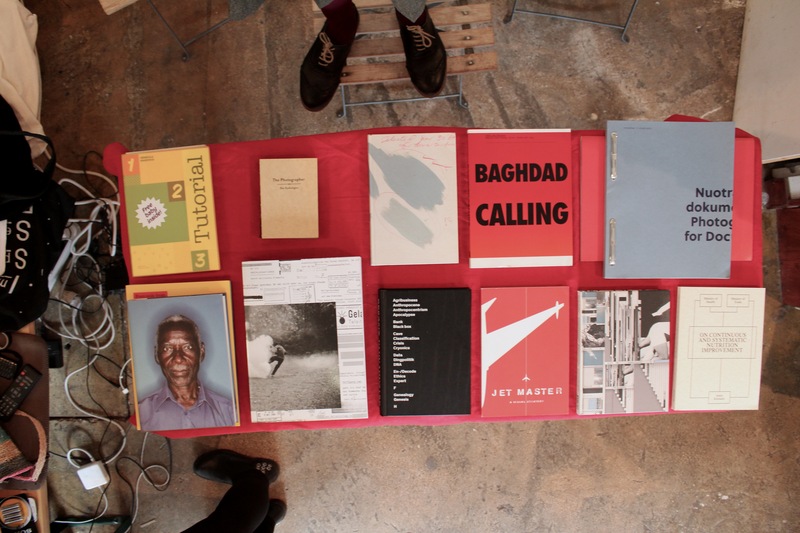 From November 12th to 16th 2015, PUNTO DE FUGA launched its experimental book platform at Le Monte-en-l’air Bookstore in Paris with a series of open meetings, brainstorming sessions, debates, projections and book signings. The 5-days programme questioned the relevance of photo-books by confronting a wide range of book experiments and visions on photography with an open community of publishers, photographers, graphic designers and curators from all over Europe. I was asked by Laura Carbonell to curate Day 5, revolving around the photobook as a privileged platform for the use of photographic archives. The day started with a discussion between me and Hester Kejiser about the several definitions of archive and its multiple positions within the world of artists’ books and photobooks. We helped ourselves by bringing our own selection of books to better illustrate the variety of possibilities within this field. Afterwards, the day saw the participation of the following photographers and authors, whose works are related to the archive for different reasons and on different levels. By clicking on the authors’ names, it is possible to read the interviews that summarise the topics discussed with each of them.